July marked the official start of my Young Flamingos Rugby Summer Camp; an official branding I gave name to in order to generate a little more appeal. Starting a camp is a lot more work than anticipated, especially in a foreign country. In doing so, I had to create registration forms, flyers and I had to display the flyers in high volume areas grocery stores and youth centers all over the island. Another major requirement that I am sure to accomplish each week includes constantly stalking up on water bottles for the kids, tracking registration, counting participation numbers, etc. The hardest part of my job is actually getting the kids to come out and play. The first day of camp I had six kids show up, the second day I had nine, the third day there were fifteen and the fourth day I had about twenty-three. Just over half of the kids who come out to the camp have never played rugby before, which makes it even more enjoyable to see their progression. 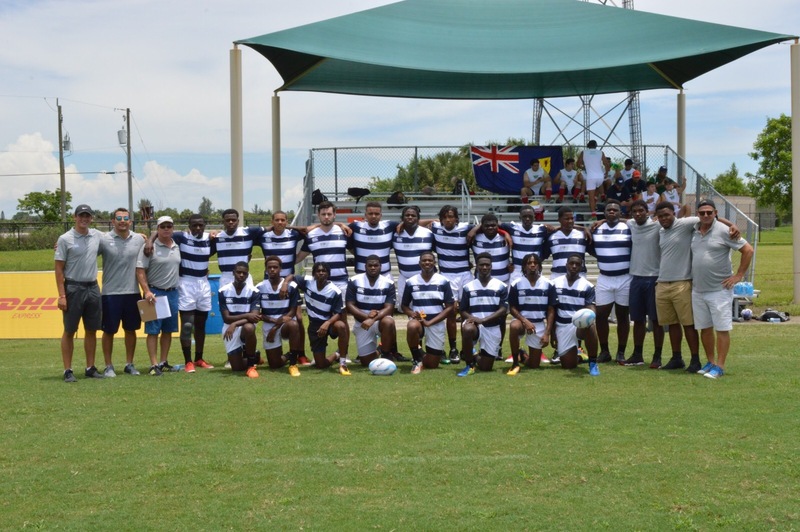 So, the week after I had just started my rugby camp, I ended up travelling to Miami, Florida to coach the under 19 national team in a North American tournament. It was my first official match as a coach and I loved every second of it. Our team was very inexperienced compared to the other teams, but we still managed to compete in all of our matches. By our last game the team found its rhythm, which as a coach was amazing to see, but unfortunately we ended with a losing the match (on account of some suspect refereeing). After the game the guys on our team were absolutely crushed. Most of them in tears, they left all they had out on the pitch. 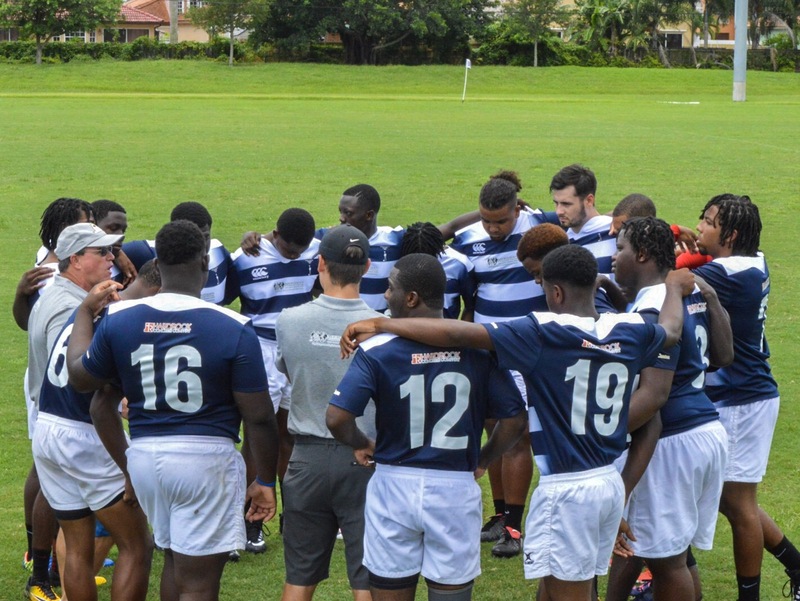 For some it was the last game of rugby they will ever play, others still have a few years to compete, and only a few will have a shot at making the men’s national team. The team leaders began to speak up post game to cheer up everyone by letting them know that no matter the result of their game, everyone tried their hardest and they should take pride in that. By dinner time everyone was laughing and carrying on like they had been all week. 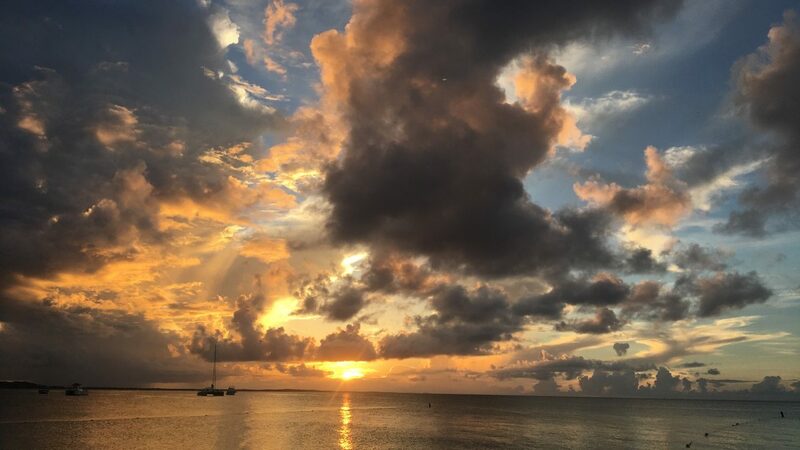 Arriving back to Providenciales, I got straight back to my camp work. I was hoping to have the same number of participants as I did before going away to Miami, but unfortunately that did not happened. I received about half the number of kids compared to the first week. Most of the kids who came in my first week had went away for the summer. So I took the initiative and started driving around town passing more and more flyers out to new locations hoping to generate more interest. The team wearing the jerseys I designed! While I was working on generating interest, I also had the chance to write an article for the weekly newspaper about the rugby trip to Miami. It was published in the TCI Weekly Newspaper for the week of July 24-30th. Along with this, I was also featured on a local radio station 105.5 Tropical vibes. The host of the station interviewed me on the benefits of playing rugby in TCI and how to get more involved. Well, Since the under 19 rugby has concluded I have had some more free time and I am back to playing consistent beach rugby on Tuesdays and Thursdays as well as ball hockey on Monday nights. Other than that, I am still trying to get out to the beach as much as I can. My roommates and I normally go out to watch the sunsets on nights we aren’t busy with anything and I must say that they will always amaze me; it is such a spectacular panoramic view that I truly never get sick of. I am really going to miss the amazing oceanic views. But for now, I am cherishing the last couple weeks that I still have here.